Cross River University of Technology, CRUTECH supplementary post UTME and Direct Entry screening exercise application form for the 2015/2016 academic session is out. Prospective candidates who scored 180 and above in the 2015/2016 JAMB and are interested in Cross River University of Technology (CRUTECH) are hereby informed that the Post UTME Supplementary Aptitude Test for admissions into the 2015/2016 Academic Session will hold on Saturday, 17th October, 2015, in Calabar Main Campus. On-line registration commences on Tuesday, 1st September, 2015 and ends on Thursday, 15th October, 2015. 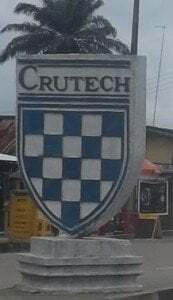 How to Register for CRUTECH Supplementary Post UTME and Direct Entry. Purchase eTranzact Pin at N5,000.00 from any First Bank Branch in Nigeria. Follow the instructions on the Online Application Portal. Print out yourPhoto Card after a successful registration. Direct Entry candidates are to come along with the originals of their credentials, 2015 Registration Slip and the on-line Registration CRUTECH Photo Card. For UTME Supplementary Aptitude Test, bring your 2015 UTME Result Slip, Pen and Pencil and the CRUTECH Photo Card which contains your Bio-data,Seat Number, ExaminationVenue, andThis admits you into the Examination Hall.